Professor Spiller is Professor of Gastroenterology in the NIHR Nottingham Biomedical Research Centre at the University of Nottingham. Past Editor of Gut (2003-2009) and member of the Board of the Rome Foundation (2000-2015), he twice edited the British Society of Gastroenterology (BSG) Guidelines for the management of IBS. 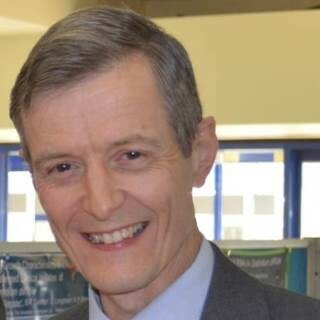 His main research interest is the pathophysiology of irritable bowel syndrome (IBS), particularly the role of infection, inflammation, diet and alterations in the microbiome as well as a long standing collaboration with the Sir Peter Mansfield Imaging Centre pioneering the use of MRI to image the underlying mechanisms in functional bowel diseases. Author/co-author of more than 362 scientific reviews and original publications. Current funding includes £2.2M EME grant for a multicentre trial of ondansetron in IBS with diarrhoea, £1.6M MRC grant studying colonic motility using MRI and High resolution manometry and £800K Newton grant examining the effect of fibre of intestinal physiology in IBS. Our group has also performed many investigator initiated research projects with industry including Norgine, Dr Falk, Ironwood and most recently Zespri. New Insights Into Bloating and Abdominal Distension: Is It All Outlet Obstruction? Irritable Bowel Syndrome: Gender, Infection, Lifestyle or What Else? Constipation and the Microbiome: Lumen Versus Mucosa! Irritable bowel syndrome - the new inflammatory bowel disease?